We’re calling 2019 the year of self-care. If you’ve made health and wellness resolutions, we’ve searched our favorite cities and pinpointed the best workouts, juice bars, tea shops and inspiring ways to commune with nature mindfully—all to aid in your quest to feel better in 2019. Just because you’re traveling doesn’t mean your wellness routine needs to suffer. The next time you’re in one of these exciting cities, be sure to check out their unique wellness offerings. Whether you’re curious about meditation or you’ve experienced the stress-reducing, calm-inducing benefits of a regular practice, Chill is your beacon for mindfulness in Chicago. A studio dedicated to group meditation classes, this River North destination takes a holistic approach to mind and body. With three different meditation styles, specializing in breath, insight or rest, as well as a yoga-meditation combo class, you can also bundle a chair massage into your Chill session. You’ll no doubt emerge with a revitalized outlook on 2019. Founder Taryn Toomey describes The Class as a “mat-based, music-driven practice of self-study through physical-conditioning.” But you really have to experience The Class to understand the blissful, cathartic benefits of this hybrid 65-minute workout. It draws upon plyometrics, calisthenics, toning, spirituality and therapeutic mindfulness. It’s also earned Toomey a cult following at her TriBeCa flagship studio amongst both celebrities and wellness-minded New Yorkers. Take home Toomey’s own blend of aromatherapy bath salts with a crystal hidden inside the package or her hand-designed crystal jewelry to set intentions in your daily life. Spanning nearly 9,000-feet across San Francisco Bay, the Golden Gate Bridge is one of the most iconic feats of American engineering. Experience it in all its glory with a bike ride from Presidio park across the bridge and into Marin County. Cycle along the bay through charming Sausalito and Tiburon where you can end your 16-mile, one-way trek with a hearty bowl of seafood cioppino on the waterfront deck of Sam’s Anchor Café before catching the ferry back to Frisco. One of the first cold-pressed juice bars in Dallas, Local Press + Brew is a locally-owned haven of wellness and community. With locations in Oak Cliff and Victory Park, their shops feature local artists and musicians, as well as a selection of fine espresso and coffee drinks. Get your green juice fix with their Winnetka Heights juice made with apple, ginger, kale, lemon and pineapple. The latest boutique fitness craze sweeping the nation is [solidcore], a high-intensity Pilates-inspired workout on proprietary “sweatlana” reformer machines. 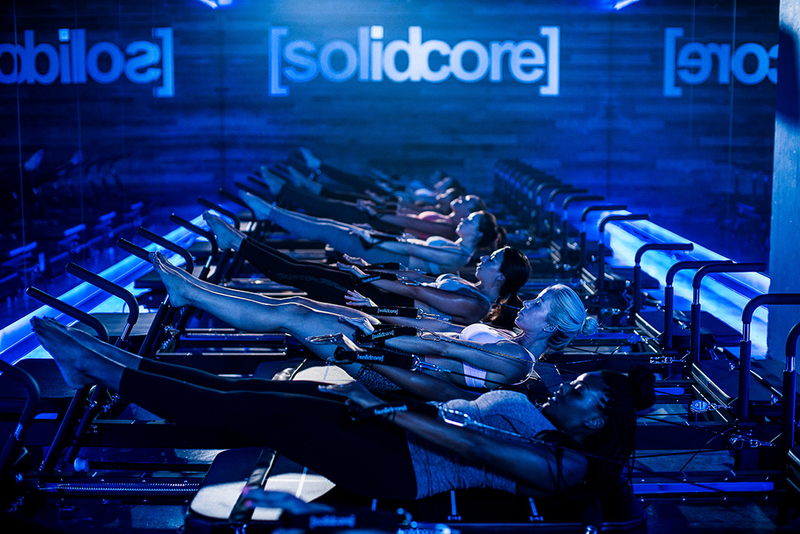 With a focus on slow, controlled, low-impact movements working your body to exhaustion, [solidcore] is designed to create long, lean muscles. Set in a stylish, low-lit studio with motivational instructors, this group fitness class is capped at 15 people for personalized attention. And best of all, there are six locations in the Greater DC area. Created by Nashville local Sarah Scarborough, Firepot Nomadic Teas recently opened their first brick-and-mortar shop along trendy 12th Avenue South. Firepot Tea Bar is an airy, light-filled space serving a wide variety of artisanal teas ranging from steeped loose leaf to lattes and seasonal specialties. For something nurturing, try the Bowl of Soul made with turmeric, coconut MCT oil, cinnamon, cayenne, milk and cacao powder. They also offer tea classes and tastings, as well as a retail space where you can purchase their handcrafted teas to brew at home. While reveling in Palm Springs’ dry heat, spas and natural springs, make time to stretch your body out with daily yoga classes. With a cult following amongst Southern Californians and Hollywood celebrities, Kristin Olson’s Urban Yoga Center is the go-to for asana practice in Palm Springs. Her team of experienced teachers lead a wide range of classes for yogis of all levels, including hatha, vinyasa, power yoga and meditation.